We’re all so accustomed to having Internet access in so many places—at home, at the office, at airports, at coffee shops—that it can be infuriating to travel and find yourself with low-speed service or none at all. Fortunately, there are six good ways to make sure you—and anyone traveling with you—can can access the Internet using your laptop’s built-in wireless networking, even when you’re nowhere near a Wi-Fi hotspot. Note: Two of these options—cell phone tethering and using a 3G adapter—connect a laptop to the Net and then share that connection from the laptop. To set up that sharing, first establish the Net connection to the laptop. Then open the Sharing preference pane (System Preferences -> Sharing) and select Internet Sharing. (Don’t check its box yet.) From the Share Your Connection From drop-down menu, choose the active Internet connection. In the To Computers Using list, check the AirPort box. If you want to password-protect the connection you’re sharing (an advisable thing to do), click AirPort Options and set it there. Finally, check the box next to Internet Sharing to turn sharing on. You may need to repeat these steps each time you enable the connection. AirPort Express in a hotel room The AirPort Express ( ) is a portable powerhouse of a base station. In hotel rooms that have only wired Ethernet for Internet access, plugging an Express into that wired connection not only lets you work on your laptop from anywhere in the room; it also lets you share that connection with other devices that have Wi-Fi but no Ethernet (such as an iPhone) and with family members or colleagues. 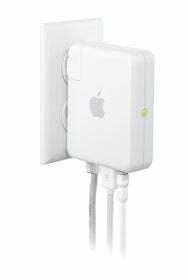 Apple says the AirPort Express can support up to ten simultaneous Wi-Fi connections. You may first need to connect your laptop via Ethernet to register or activate the room’s connection, then plug in the AirPort Express. Make sure to activate WPA2 Personal encryption so your shared connection isn’t accessible to just anyone. Tethering with your cell phone Tethering services for cell phones let you turn the mobile device into a modem. The phone connects to the Net over a 2.5G or 3G network; you then connect your laptop to the phone via Bluetooth or USB—voila, you’re online. You can then use your laptop as a base station to share that connection via Wi-Fi. Unfortunately, the iPhone doesn’t yet offer tethering in the United States; AT&T promises that it’s coming. If you’re using another phone, check with your cell provider. Some phones may let you tether, but the provider might slap expensive transfer fees on top of whatever data plan you already pay for. Make your phone a hotspot A small but growing number of mobile phones have both 3G and Wi-Fi. With the right software, you can turn such phones into hotspots. Joiku’s JoikuSpot Light (free) and JoikuSpot Premium (€15) work on the Symbian S60 smartphone platform. The Light version supports the HTTP protocol alone, so the only thing you can do with it is surf the Web; the Premium version supports all Internet protocols. WalkingHotSpot ($25) works with Symbian S60 as well as many Windows Mobile phones. As with tethering, check with your carrier about extra data fees. A USB modem may be free with your contract, but it may cost as much as $150 to $250 without one. (If you purchase your modem up front, T-Mobile lets you pay its monthly data rate without a contract.) Fortunately, such modems can be swapped among nearly any Mac or Windows system. You can typically, but not always, share the resulting 3G service via Wi-Fi; some drivers might prevent it. 3G as you go Virgin Mobile (now owned by Sprint Nextel) has a pay-by-the-byte 3G plan. The Broadband2Go USB modem costs $99; you then buy blocks of usage (in megabytes or gigabytes) as you need them. Pricing starts at $10 for 100 MB (must be used within 10 days) up to $60 for 1 GB (expires in 30 days). For those who travel and need access less frequently, this plan makes great sense. 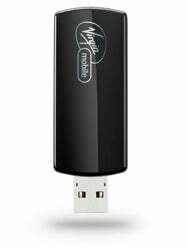 As with other 3G adapters, you can share your Virgin Mobile access via Wi-Fi, too. 3G Wi-Fi router The Novatel MiFi 2200 ( ) isn’t the first hardware to combine 3G data access with a wireless router in one box. But such gateways—the Kyocera KR2, for example—have typically been the size of regular desktop routers. The MiFi, by contrast, can fit in your pocket. It allows up to five simultaneous connections and has an internal rechargable battery, so it can continue to provide that access even you’re away from a power outlet. 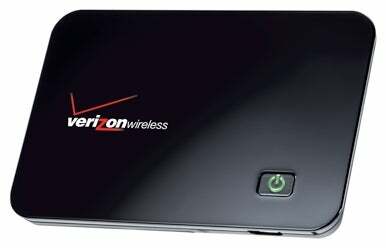 The MiFi is sold by Verizon Wireless and Sprint Nextel. Both firms charge $100 for it (after rebates, with a contract). Verizon offers data plans (with a two-year contract) for $40 for 250MB per month or $60 for 5GB per month. Sprint Nextel only offers a $60 plan (for 5GB per month, with a two-year contract). The MiFi can be purchased separately for about $250 and used with Verizon’s network at a $15-per-day rate for on-demand usage. Glenn Fleishman is editor of Wi-Fi Networking News and author of Take Control of Your 802.11n AirPort Network (TidBITS Publishing Inc., 2009).